Restaurant wine lists are evolving—and improving—in many ways. It's a great time for wine lovers who enjoy dining out. 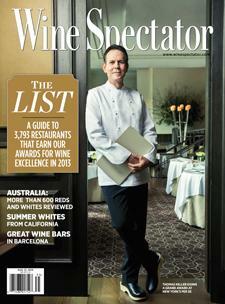 And here at Wine Spectator, we feature our latest annual survey of restaurant wine lists, as seen through the lens of our Restaurant Awards program. More than 4,000 restaurants submitted their lists for judging this year, from all 50 states and more than 75 countries. That's a lot of data, and it all points in exciting directions.